Manufacturer of a wide range of products which include laminated woven sacks, multi color printed pp woven sacks, polypropylene woven sacks, hdpe woven printed sacks and pp woven sacks. We take pleasure to introduce ourselves as one of the renowned organizations, offering Laminated Woven Sacks. Our given woven sacks are manufactured by our competent workforce utilizing latest machines and high quality material. These woven sacks provide extra protection to the products from external dust and stains. Our valuable clients can avail these woven sacks at nominal prices. With our years of experience and knowledge, we are engaged in offering Multi Color Printed PP Woven Sacks that are used for packing goods in various industries. 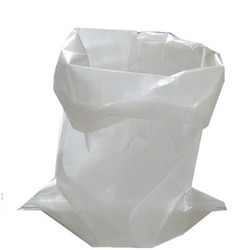 Our provided woven sacks are well designed by our experts using best quality material & leading techniques in sync with the standards of quality. These woven sacks are offered in diverse sizes & customized options in order to satisfactorily fulfill specific needs of our clients. Offered woven sacks are ideal for packing food items for longer time. 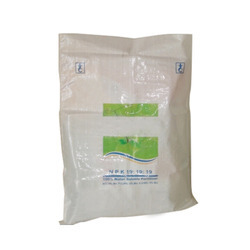 Keeping in mind the diverse requirements of our clients, we are offering an excellent range of Polypropylene Woven Sacks. 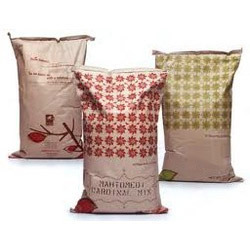 Offered woven sacks are used in various industries for packaging purposes. Our workforce manufactured woven sacks using top notch material & contemporary techniques in accordance with the set norms of market. These woven sacks are quality checked on well-defined parameters for ensuring its flawlessness. We are highly devoted towards offering a perfectly designed range of HDPE Woven Printed Sacks to our clients. These products are highly acknowledged for their light weight and high carrying capacity, which can be customized as per the details specified by our esteemed clients. Our range of products is extensively used for packaging of products like the chemicals, fertilizers, sugar, food grains and more. We offer them at most reasonable prices. Clients can avail the offered range of PP Woven Sacks from us. These sacks are fabricated with the help of high class material and modular technology in compliance to set industrial norms. The offered sacks are use for packing various edibles used in kitchens. 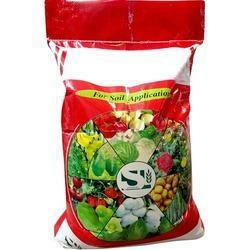 We offer these sacks in various printing options and deliver within promised time frame. These bags have very high aesthetic value and high bonding strength. 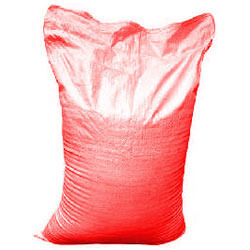 Clients can avail these sacks from us as per their requirements.